This weblog provides information on the collective research conducted by the students in the MET’s ETEC 521 Indigeneity, Technology, and Education. The annotated weblog entries describe resources available, links to other sites, and usefulness for research on Indigenous knowledge, media, and community reality. 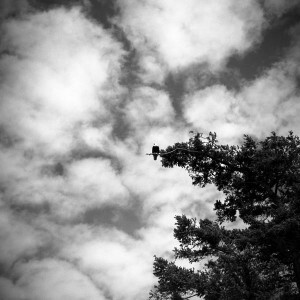 Only students in the MET course ETEC521 can author postings on this weblog. Please refer to the instructions in the ETEC521 course site for instructions on how to add yourself to this weblog. You can also look at the archives to find the research journals of students from previous years, going back to 2005. Not all of the postings are still available in these archives, but there is a wealth of information pertaining to potential research resources to be found in the archives. On the top of this weblog’s page, place t he mouse over New and in the drop down menu, select Post. 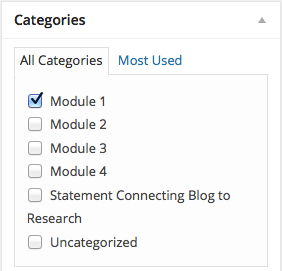 For each posting you make to the Research Weblog, you need to select one category (Module 1, Module 2, Module 3, or Module 4) before hitting Update. Note that you can also Edit your own post. You are expected to make 5 entries per Module, and by adding the categories, it will be easy for you (and for others in the class), to quickly see any new postings relating to the Modules. Also, if you add tags (keywords) to your postings, we will also be able to generate a “tag-cloud” (available on the sidebar) of thematic terms that provide an additional way for people to find resources that might be of interest to them. This tag-cloud will grow as the number of postings made to the weblog grows and will, in time, become an interesting way to explore the material we are creating together. Please feel free to comment on one another’s postings!